Advent Taize Prayer Service - Dec. 12, 7:30 p.m. 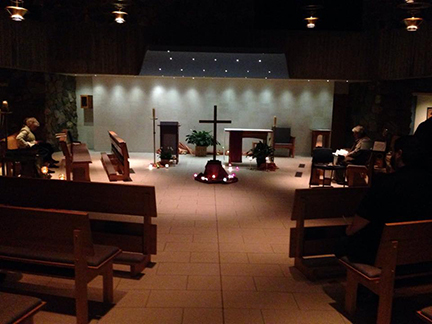 Please join our monastic community for a beautiful Taize prayer service on Friday, December 12, 7:30 p.m. This service, held on the Feast of Our Lady of Guadalupe, will include chant, music, Gospel readings, prayer petitions and reflective silence. Prayers will be offered especially for those who are cold and hungry this Christmas season. As we celebrate Advent and wait in joyful anticipation of the birth of our Savior, we pray in gratitude for the many blessings in our lives. We pray for those who are suffering. If you would like to donate any warm winter items (hats, gloves, scarves, etc. ),we will collect these items and take them to those in need.